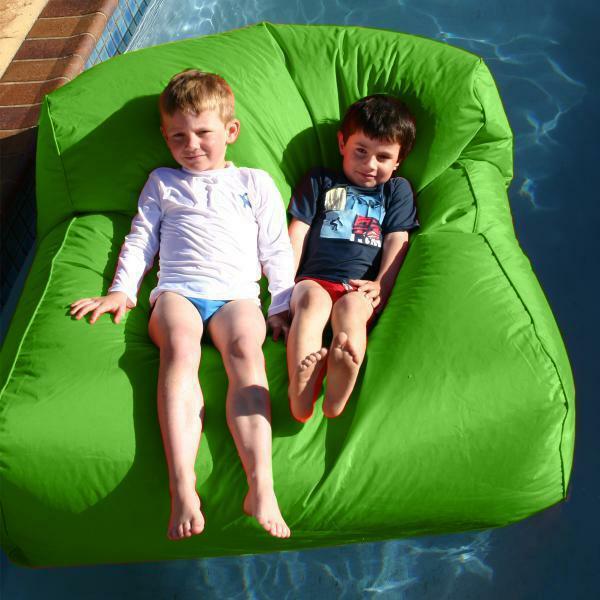 Floating beanbag Relax in pool for free! We will be happy to build a swimming pool, and please you with a wonderful gift - frameless sofa Relax in pool! Call to request a free travel gager, and our specialist will come to you at a convenient time for you. Relax in pool - garden furniture and your comfort! Relax in pool will help you to create a festive atmosphere and a lounge area on your site. Our beanbags used in many restaurants, cafes, hotels, water parks, private homes, cottages, as well as easy on the summer stages all over the world. All you need to - it's just sit back and relax! "Relax in pool, sit back and relax"
Frameless sofa and chair-pear (bag) Relax in pool floats and does not absorb water, so you can use it to swim in the pool, river, sea, and any other body of water. Forget the hassle with furniture on your site, our furniture is not afraid of bad weather, you can leave it in the rain, and after it again enjoy the comfort of Relax in pool. The exclusive material, furniture simple and easy to clean with water. The material from which the furniture - is a nylon and PVC, soft and pleasant to the touch. Through the use of such material frameless sofa chair does not absorb water.